Serge Dassault died at the age of 93. The billionaire owner of France's Le Figaro newspaper and jet maker Dassault has died. 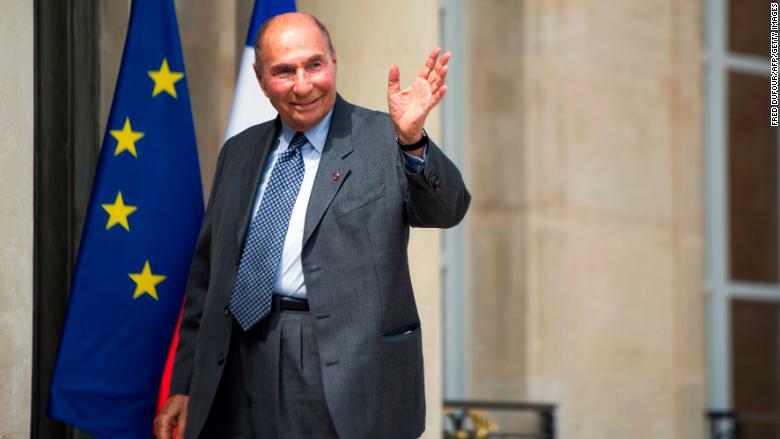 Serge Dassault was 93 when he passed away on Monday, his family announced. The industrialist and media magnate was one of France's richest men, with a fortune estimated by Forbes at about $26 billion. In a short statement, the Dassault family announced that Serge Dassault "died at his office on the Champs Élysées, following a heart attack." In an article published on its website, Le Figaro described him as "the head of one of the wealthiest dynasties in France and one of the most influential and powerful family holdings." The diversified group he inherited from his father — Marcel Dassault — employs about 18,000 people and is a world leader in aviation, making Falcon private jets as well as the Mirage 2000 and Rafale fighter aircraft. It owns Dassault Systèmes (DASTY), which provides 3D computer-aided design software for industry, wine estates, an auction house and several very valuable works of art.